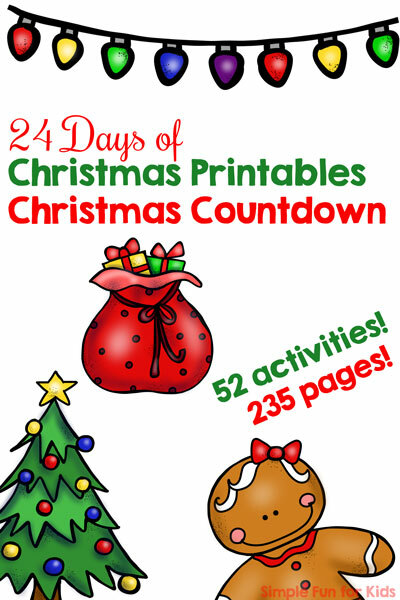 Welcome to day 4 of the 24 Days of Christmas Printables for Toddlers! Thank you for following along! 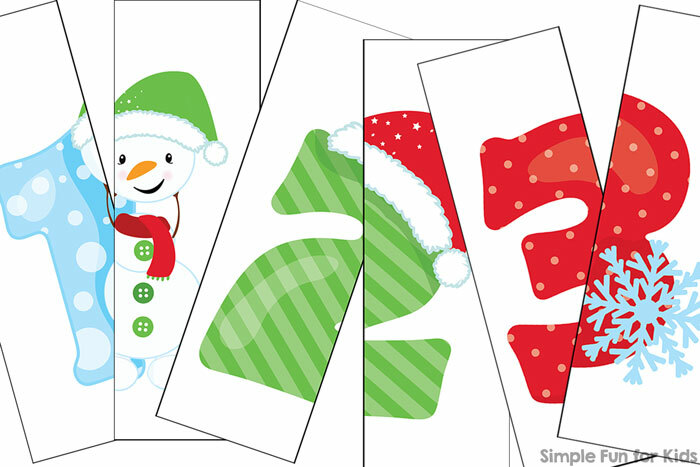 Today, I’m adding to the collection of simple printables for toddlers with Snowman Numbers 2-Piece Puzzles. Even with just two pieces per puzzle, there’s a lot going on in the images that you can talk about while putting them together: Numbers, colors, and lots of interesting details. The file contains five pages of 2-piece puzzles. There are two puzzles per page covering numbers 0-9. The images feature snowmen, snowflakes, Santa hats, and other fun details to chat about. Print the page(s) you want to use, laminate them to make them last longer (I think it also makes the pieces easier to handle when putting the puzzles back together), and cut them apart at the black lines. Start out with just one puzzle at a time, and make sure to talk about the images, the colors, and all the details. Once your kids’ skill levels advance, you can start mixing and matching several puzzles. I want to know how you use the printables, so take some pictures and share them with me on my Facebook page or tag me and use hashtag #sffkadventcalendar on Instagram! 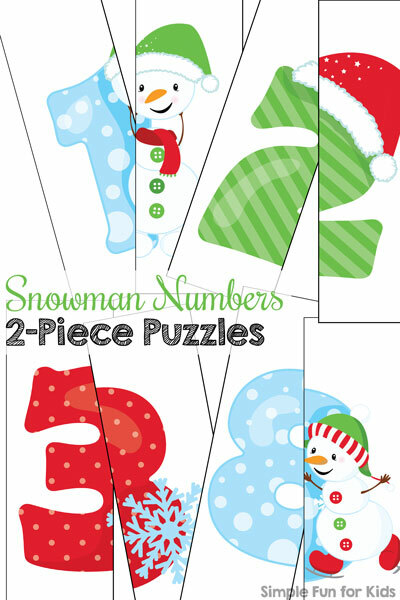 Download your Snowman Numbers 2-Piece Puzzles!